For our first workshop day of the year, we’ll be trying something new! Balboa! Indeed, yet another dance to help you through the upper tempo songs. Hans & Dorrie will join us from Eindhoven to provide us these workshops. 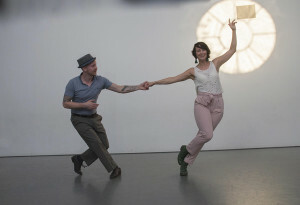 Besides this, we’ll also have Lindy Hop workshops from Danny & Eveline from Eindhoven! More info on the day will be announced as it becomes available. Our Balboa teachers are Hans & Dorrie, from Eindhoven. Here’s more about them. discovered Lindy Hop in 2005. Since then they have been dancing Lindy Hop and even started teaching in 2010. Since 2008 a new dance was added to the mix: Balboa. As a result they have been visiting numerous Balboa workshops all over the world not only to improve their dancing and teaching but also to meet people. They are teaching Balboa since 2013. Their classes can be characterized as fun, a lot of student-teacher interaction and focus on technique. Here’s what they say about Balboa. Danny Merkelbag dances Lindy Hop since 2012. Although he thought he could not dance, he discovered an unexpected talent within himself. In a couple of years he transformed into a creative, joyfull, passionate and very technical dancer. He’s all about making hours on the dancefloor to dance as much as he can. He is, together with Eveline van Lievenoogen the founder of a growing local scene in the Netherlands. Dancing is his passion and he travels the world for it. With Danny there is always time for some swing! Eveline van Lievenoogen dances Lindy Hop since 2007. She fell in love with Lindy Hop, the moment she discovered it existed, in a small town in the Netherlands. 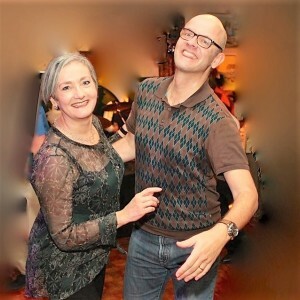 She started her first course a couple of days later, determined to make the dance her own and be a Lindy Hop teacher somedays…a couple years later she made her dream come true and started a local scene, together with Danny Merkelbag. She is very passionate about dancing and knows how to inspire others to love Lindy Hop as much as she does. Together they dance all over the world, they are everywhere for social dancing, competitions, training and teaching. Their classes are organised and full of energy, they combine a lot of fun with technique. NOTE: If one level is full, but there are still spots left in another level, it might happen that the organisation places you in another level. You started dancing Lindy Hop some months ago. You’re comfortable with 6- and 8-counts and working on your basic moves. You’re totally getting the Lindy Fever and you’re eager to learn more! If you dance in Groningen, this level would fit the Sugarbeats and the Lollipops. You’ve been dancing Lindy Hop for at least 9 months now. You are familiar with a great number of figures in Lindy Hop and Charleston and you don’t miss a chance to practice them. The Swing Out is one of your favourite moves. If you dance in Groningen, this level would fit the Blue Cotton Candies. Lindy Hop is a big part of your life for at least 1,5 year now. You pick up new moves easily, dancing to fast music is very comfortable and you already like to play with your own creative variations on moves and rhythms. You’ve attended several (international) events. If you dance in Groningen, this level would fit the Pink Cotton Candies. We aim to balance the lead/follow ratio, so we may not be able to accept everyone straight away. If you want to be sure that you have a spot, please register as a couple. Once accepted you will receive an e-mail and you will have 5 days to pay for the workshop to complete your registration. If you need to cancel, please let us know, so we can accept someone else.